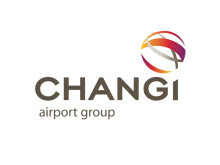 SINGAPORE, 21 September 2018 – Singapore Changi Airport registered 5.68 million passenger movements in August 2018, a 7.9% year-on-year increase. Aircraft movements rose 3.6% to 32,890 landings and takeoffs, while airfreight throughput grew 1.8% to reach 184,000 tonnes, compared to the same period last year. New Services – Changi Airport welcomed the arrival of SF Airlines from Shenzhen, China on 4 September. SF Airlines is the first Chinese express airline to launch freighter services between Singapore and China. Its weekly service increases capacity on the Singapore-Shenzhen route by 16%. New Restaurants & Stores – In the public areas, E-Gadget Mini by Sprint-Cass and Fish & Co have opened in T2. In addition, A-One Signature, which serves claypot-cooked cuisine and Seven Stop, a 24-hour vending machine concept store which sells gifts, lifestyle products and has claw machines for play, have commenced operations in T3.